Eleven Audio designs the finest in personal audio electronics, each and every piece being highly optimized for sound. Anyone who has been in the hobby long enough knows that the power supply of an amplifier is a very important key, albeit adding weight and size to the design. 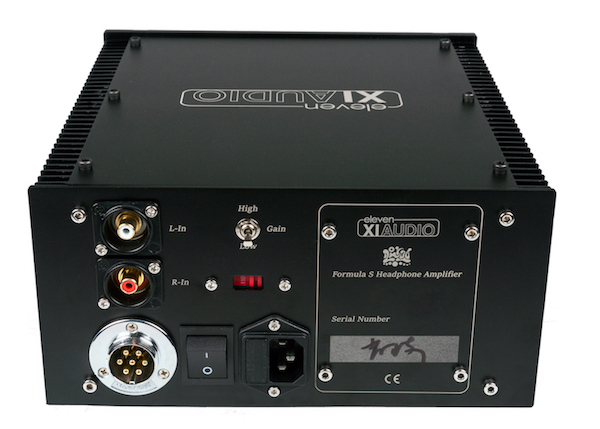 So XIAUDIO decided to take a different path, designing the Formula S amp with a very good supply with the option to upgrade to exceptional, space and funds willing. Meet the answer to the question "What does an exceptional power supply offer?" 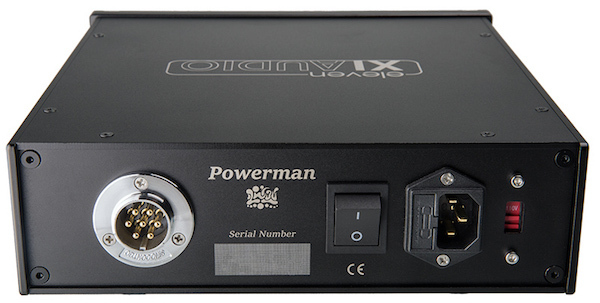 POWERMAN connects to the Formula S option jack via the included umbilical cable (wired with JPS Labs), powering the already excellent headphone amplifier from a discretely regulated high current ultra clean power supply. Similar to having a built-in line conditioner, POWERMAN removes that last bit of noise while providing relatively huge power reserves, leaving amazingly clean musical information and dead black background noise. Hot rod your Formula S and bring the experience that much closer to the microphone. Available separately as a future upgrade or as a package with the Formula S amp.